We’ve witnessed how the cannabis industry has grown over the last couple years, and now that recreational legalization is in full effect, it’s time to begin looking towards the future. In which direction is the cannabis industry headed? Will we see mostly dried flower, or will cannabis edibles and concentrates dominate the marijuana market? Many industry experts and investors believe that the next big thing will be cannabis edibles and derivative products. Does this make sense? Ontario Licensed Producer Indiva Ltd. seems to think so. As investors much of our plays end up being reactionary, but for Licensed Producers simply reacting and following suit isn’t going to cut it. This is especially true for a smaller LP like Indiva Ltd., which needs to be ahead of the curve to leverage the industry’s future for themselves. This means looking for growth and diversification opportunities throughout the cannabis industry and carefully positioning themselves to capitalize. The management team of Indiva Ltd. are accomplishing just that and have been positioning the company to take advantage of a foreseeable market shift toward edibles and derivatives. Indiva Ltd. is a Canadian Licensed Producer based in London, Ontario. The company received its sales license on August 10, 2018 and fully owns its operating facility in London. This facility is operational and is now nearing completion of a fully funded 40,000 sqft. expansion. Included in the expansion are upgraded cannabis cultivation and oil extraction facilities for use with Indiva brand and other licensed products. Expected in Q2 of 2019, the company has also planned and fully funded a state-of-the-art processing facility to produce the brands Indiva, Bhang, DeepCell and other cannabis products such as extracts, concentrates, oils and e-vape cartridges. To ensure the planned facility can produce high quality products while meeting all applicable standards and regulations, Indiva Ltd. has hired Seattle based cannabis extraction experts Lucid Lab Group to design the new extraction facility. This will become Indiva’s cannabis oil manufacturing and product innovation hub, extending to all of Indiva’s cannabis related products including oil filled e-vape cartridges, concentrates, gel capsules and tinctures. The company will also use this facility to process Bhang Chocolates, Ruby Cannabis Sugar, Ruby Chewable Gems and other licensed products. Known for their expertise and innovations in designing cannabis extraction facilities, Lucid Lab Group will be a valuable asset as Indiva Ltd. continues to solidify its position on cannabis extracts. “We are very excited to work with Lucid given their expertise in this area, as well as their past history with one of our preferred partners and licensor DeepCell. Our goal is to be prepared to serve the legal edibles market with high quality, innovative and award-winning products,” said Niel Marotta, President and CEO of Indiva Ltd."
Indiva is focusing on edibles and concentrate extracts because of how the company’s management team sees the cannabis industry unfolding. Cannabis concentrates have been identified as a primary focus as data suggests these will make up the majority of the cannabis edibles and derivatives market in the near future. Market data gathered in the U.S. shows sales of cannabis concentrates - including shatter, wax, hash, oils and specifically cannabis oil vape pens - far exceeding sales of edibles. 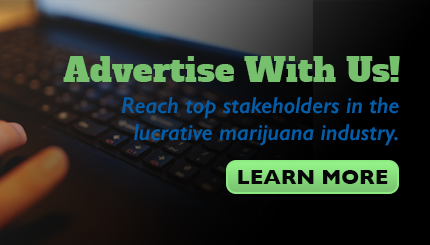 Approximately US$685 million worth of cannabis edibles were sold from January to October of 2018 in four U.S. states (Arizona, Colorado, California and Oregon). However, during this period, consumers in the same four states spent a whopping US$1.4 billion on cannabis concentrates, more than double spending on edibles. Continuing into 2019, Indiva Ltd. continues to position itself to capitalize on the upcoming cannabis edibles and derivatives markets. This is evidenced by the partnerships with DeepCell Industries and Bhang Chocolates that have been established to ensure Indiva Ltd. is ready to go with cannabis edibles as soon as legally possible. Now Indiva Ltd. has also taken a big step towards industrial scale production of cannabis extracts and concentrates, including cannabis oil and e-vape cartridges with their new cannabis extraction and processing facility.